Summary: Highly regarded Florida State Law School dean, Donald Weidner will be retiring from dean to serve as only a full-time faculty member. 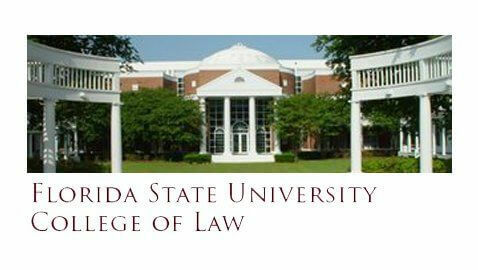 Florida State University College of Law Dean and Alumni Centennial Professor, Donald J. Weidner, announced his retirement, to start June 2016. He has been the dean from 1991 to 1997, interim dean from 1998 to 2000, and then again as dean from 2000 to present. Weidner can be credited with bringing the school up to a highly ranked U.S. law school and recognized as one of the best for job placement. The school has an annual giving rate that has increased by around 500 percent to make it one of the top ten in the nation for alumni giving. The endowment has also increased by over 600 percent. Weidner was named by The Leiter Report in 2011 as one of the Nine Transformative Law Deans of the Last Decade. This year he was awarded the Guardian of the Flame Award because of his efforts to advance student-faculty relations through a group of student leaders. He had started several other programs during his time as dean. There is the Summer for Undergraduates “pipeline” program, LL.M. programs for lawyers from other countries or interested in environmental law, a 3+3 program that lets students complete their undergraduate in three years for a total of six instead of seven to get their undergraduate and law degree, certificate programs for environmental, business, and international law, and a Juris Master program that can be completed in one year. The law school, under Weidner’s direction, also acquired and renovated a 50,000 square foot courthouse to be an expansion of the school’s physical plant.